Invisalign in Costa Mesa: A True Investment in Your Health! If you’re considering straightening teeth with either traditional braces or Invisalign in Costa Mesa, you both probably have a lot of questions. These questions may include the cost compared to the benefits of each straightening treatment. Ultimately, these are two factors that help patients make a decision for their health care. Your dentist is here to give you the answers in this week’s blog post. To get straight to the point, Invisalign has unmatched benefits and is reasonably priced. Let’s explore how a patient can rely on the Invisalign treatment. It’s true that traditional braces are a tried and true method for fixing various dental problems, but Invisalign can provide the same benefits while being practically invisible! Instead of using metal brackets and wires, Invisalign is created from personalized clear, plastic aligners. If patients follow the system as directed, these plastic aligners will gently shift your teeth into their correct positions. Which system will benefit me the most? On average, the cost for a full set of custom-made aligners may be more than traditional braces, but that’s without the help of insurance! And trust us, Invisalign is truly worth the investment. It’s important to consider the many benefits that come along with the Invisalign treatment. It’s true that the more dental visits you’re required to attend, the higher your costs are. With Invisalign, you’ll receive several months of aligners all at once. This way, you can move forward with your straightening treatment on your own. Simply replace your current aligner tray with the next in the series as you graduate from each stage in your treatment. There are times that traditional braces may need repair. Invisalign shouldn’t require any repairs that force you to visit our dental office. A lost, broken, or damaged aligner can easily be replaced with the next in your series since each step in the system are just slightly different than the last. Good dental hygiene is important to the success of any straightening treatment. Unfortunately, it’s harder for many patients to effectively clean their teeth through their brackets and wires. Since Invisalign clear aligners are removable, you can still brush and floss your natural teeth without facing the struggle that traditional brackets and wires pose. Don’t forget to wear them again you’re done cleaning your teeth! It’s Easy to Choose Your Straightening Treatment! Is easy to remove and replace. Makes it easier to enjoy your favorite foods. Boosts confidence from being practically invisible. Is more comfortable than metal braces. Doesn’t rip or tear at the insides your mouth like traditional braces might. If you’re having a hard time choosing your best option for orthodontics in Costa Mesa, consider calling your local dentist for assistance. Dr. Jeremy B. Jorgenson has traveled out of the country several times to provide excellent dental care for those who cannot afford it. He’s enjoyed returning to the states and serving his community in Costa Mesa. Since he loves staying up to date with the latest technologies, he’s excited to provide Invisalign as an option for all his patients. If you would like to speak with your cosmetic dentist in Costa Mesa, feel free to call our office. 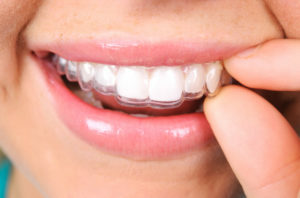 Comments Off on Invisalign in Costa Mesa: A True Investment in Your Health!